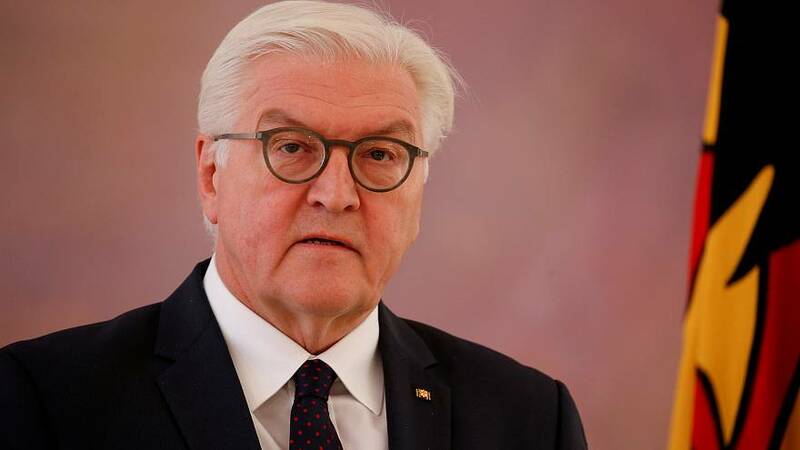 German President Frank-Walter Steinmeier is continuing to meet leaders of germany’s political parties in a bid to secure a stable government for Europe’s largest economy . It follows the collapse of talks on Sunday between Chancellor Angela Merkel’s Christian Democrats party, the pro-business Free Democrats and the Greens. Steinmeier will meet Social Democrat (SPD) leader Martin Schulz at his Bellevue Palace residence in Berlin to urge him to reconsider talks about a ‘grand ‘centrist coalition with Merkel. Schulz has consistently ruled this out, repeating that the ‘grand coalition’ that governed Germany for eight of the chancellor’s 12 years in office after leading his party to its worst result in more than half a century in September. The party is split between those on the left who agree with Schulz and those who see it as a chance to push through some of their key policies. Another option is new elections, a path preferred by Mrs Merkel. A new poll released on Wednesday showed that half of Germans also favor a new election, while a fifth support a minority government. Only 18 percent want a renewal of the SPD-conservative coalition that ruled the past four years.